Cayla and Gator pictured after their win in Innisfail, Alberta. 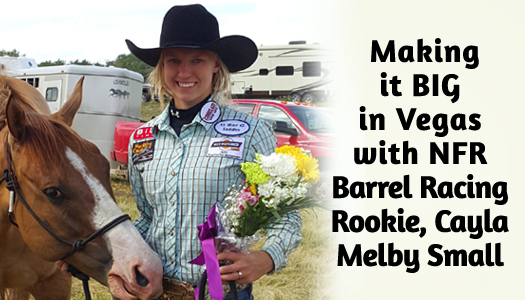 Cayla Melby Small may be an NFR Rookie, and the 2016 WPRA Rookie of the year, but she’s no newbie to barrel racing. 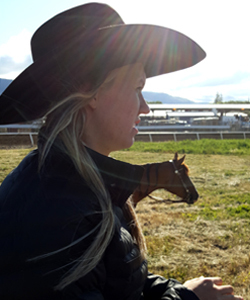 As the daughter of 2-time NFR Qualifier Jane Melby, Cayla has been in the saddle competing with the goal to make the NFR at age 18 since she was just a toddler. Rodeo is a family affair for Team Melby, and the family just got bigger when Cayla married Zac Small this October, who is also a 2016 NFR first timer on the heading side in the team roping (check out hashtag #TwoSmallsGoingBiginVegas). 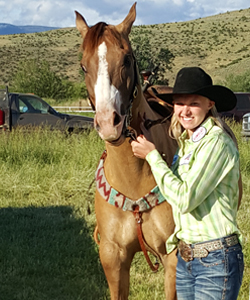 The insights Cayla shared below about her horses, her season, favorite products and more give us a fun sneak peek into the life and times of a “rookie” professional on rodeo road! Tell us about the horse(s) you’ll be riding at the 2016 WNFR? Shameon U is a seven year old dun gelding by a son of Dash Ta Fame. Gator is his barn name and it fits him well. You never know what mood he’s in or who he’s going to bite. I purchased him in mid-February this year from Anessa Self. Docs Frosty Blue Bar is a seven year old cremello gelding that goes back to Sun Frost. Mighty Whitey feels like a proud warrior. Yet he’s very gentle and simple to deal with. Nothing seems to bother him. I purchased him the end of April from Lindsey Hayes Banks. Brookstone Jo is a six year old chestnut gelding by Brookstone Bay. I call him Brookstone because I had another great horse named Brooks. The more you tell him he’s a champ the better he performs. My mom Jane Melby normally runs him, but I ran him from time to time this summer when needed. How would you describe your horse’s running and turning style? Gator’s running style is fast and snappy. If Gator likes the ground he is going to love the Thomas and Mack. I’ve never really run Mighty Whitey in a building but I have a lot of faith in him. 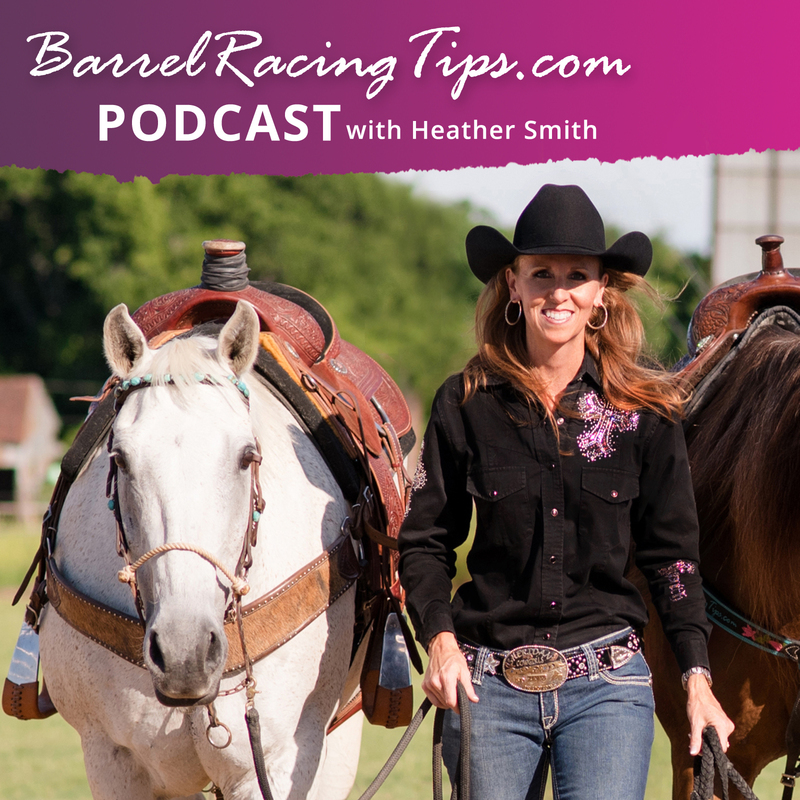 He has an incredible first barrel and is really fast. Brookstone is real turney on the first and second, then you have to mentally back off a little on the third barrel. With Brookstone, as long as I don’t let off the gas he will really like the Thomas and Mack. What has been your biggest challenge or learning opportunity this season? My season was like driving through the mountains. I felt like I should have a lot won more than I did. It’s very challenging dealing with all the frustrations and keeping your mind positive. Joel Osteen and Christian radio stations helped keep me on track. What keeps you motivated through all the ups and downs of rodeo life? I have been planning on making the NFR when I was 18 since I was three years old. My mom stays real positive and knew what to expect which also helped. Start with a plan and stick to it! 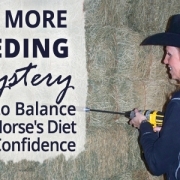 What products do you depend on most to keep your horses healthy and happy? I pull a Logan Coach trailer, it all starts with their ride. I feed Omega Force Intensify by Bluebonnet and plan ahead so we never run out and go the extra mile to find the best hay possible. 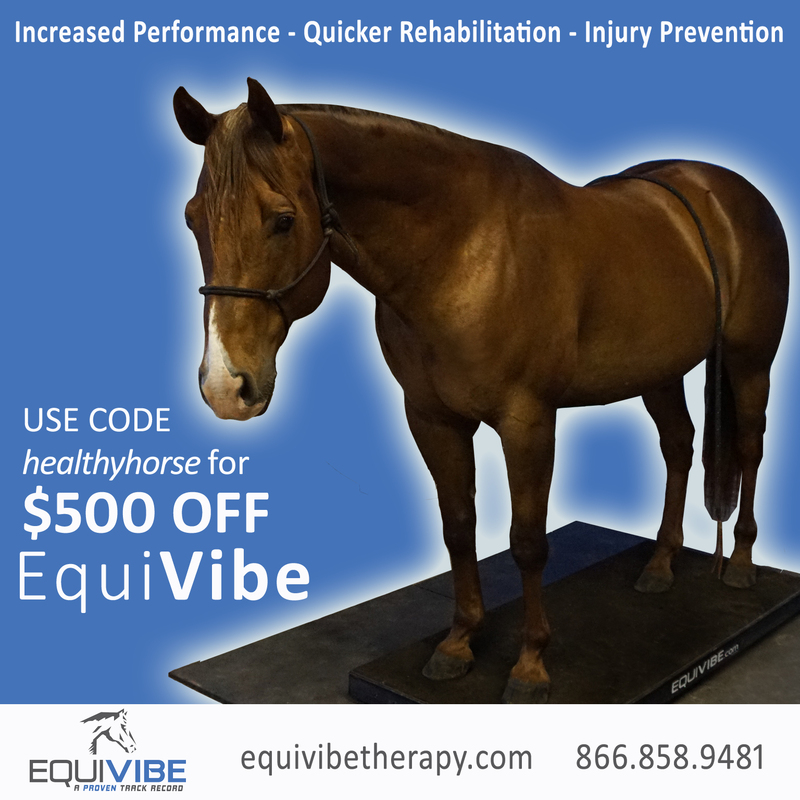 EquiPulmin has been a great alternative in helping my horse with all the climate changes. I have Buck Sprague keep my horses in line and feeling good, along with Theraplate. My dad Ryan Melby also flew in every six weeks to shoe. Gator has one brown eye and one blue eye. 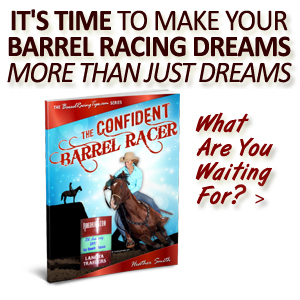 Do you have any specific goals for this year’s National Finals Rodeo? My mom Jane Melby won three rounds in 2011, so I want to win four rounds. 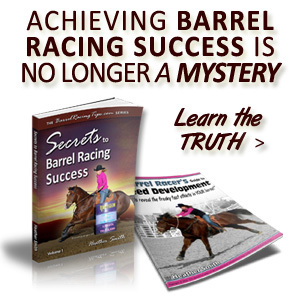 What qualities do you think are most critical to a horse’s success? Do you have a preferred bloodline or running style you look for in a horse? If you could make a run on any of the other NFR qualifier’s horses, which would you choose and why? Latte – he’s fast, athletic and has a beautiful pattern. Horse power and getting out of your comfort zone. Find someone that’s already made the NFR to take advice from. 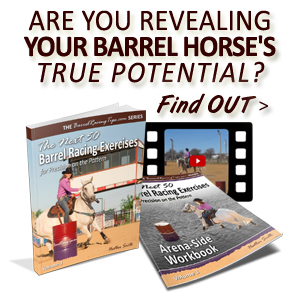 What is your favorite thing to do outside of barrel racing and horses? Sleep! What has been your most memorable experience from your years of rodeoing? At the Canadian Finals Rodeo in 2015 I won three rounds and placed in two other rounds out of six. In what ways would you like to see the sport of rodeo promoted so that it can grow and be enjoyed for years to come? It all starts with youth rodeo! The more you can learn the better off you are. 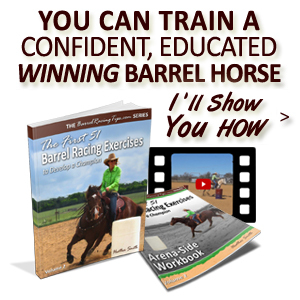 My parents put on a lot of barrel racing clinics all over the US and Canada. The results are amazing and they change so many lives. Logan Coach Trailers, Dufur Quarter Horses, G Bar G Saddles, EquiPulmin, Big Time Entertainment, Stride Supplements, Diamond Wool Pads, Bluebonnet Feed, Iconoclast Boots, Kimes Ranch Jeans and CR Ranchwear. Cayla’s Mom, Jane Melby is a 3x NFR buckle winner. She has two World Championship titles and over 20 years teaching experience. For information on Melby clinics, visit www.JaneMelby.com and click here to follow The Melby Team on Facebook.